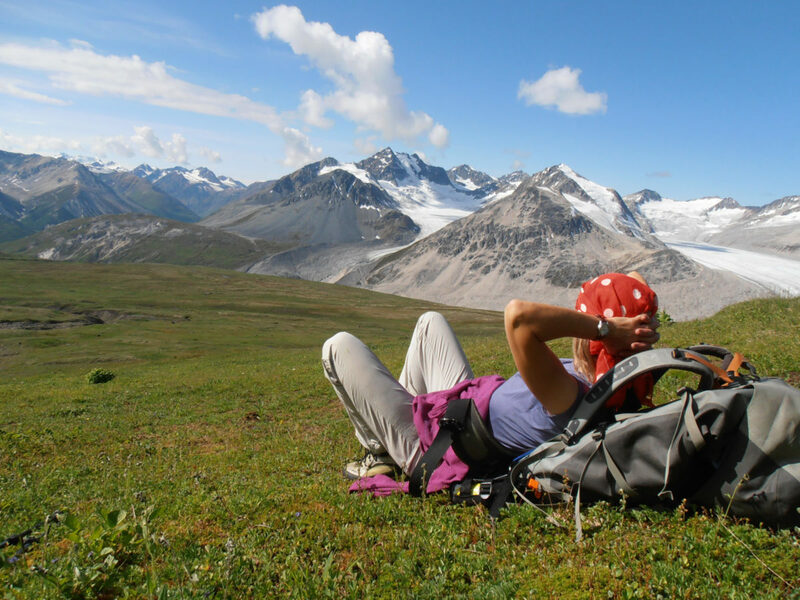 Summer in the Yukon: Not to miss Yukon trip highlights. Summer is just around the corner although it always takes a bit longer up here north of 60. And let me tell you, it’s just a tell-tale that we are hibernating like the bears do. 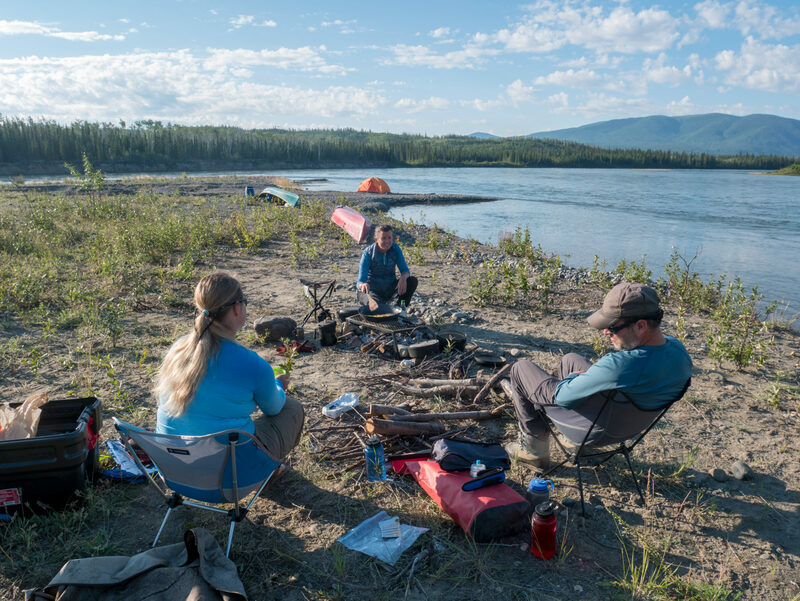 Are you looking for a hiking trip in Kluane National Park or paddling the Yukon river to experience Yukon’s wilderness and wildlife in a small group on a schedule that allows time to saviour the experience and let’s your mind wander in stillness? Allow time to make detours – because those are the things you are going to remember. Taiga Journeys is specialized in small groups and customized trips. 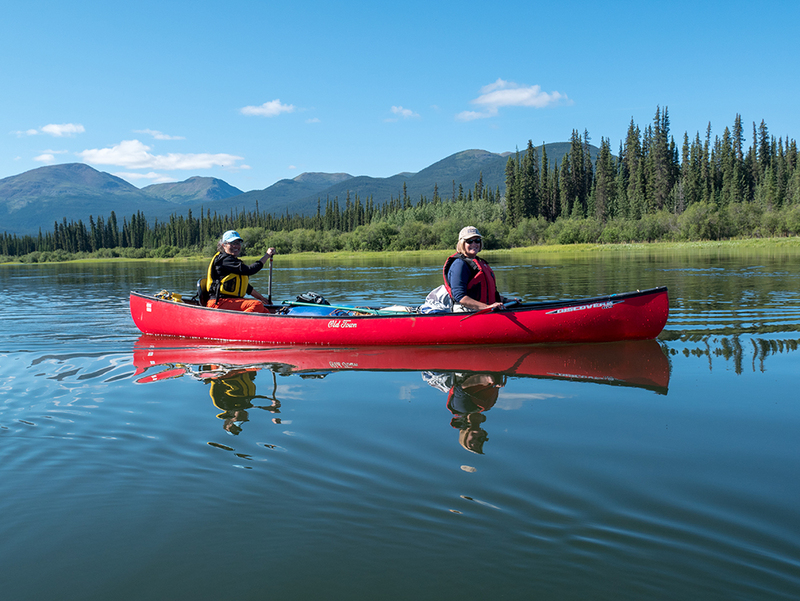 Your local guide is at home in the wilderness and Yukon’s pristine nature is our host. Being on route with Taiga Journeys offers a well-balanced adventure in a sensitive environment with high standards for everyone’s experience and well-being. Your guide will create a stress-free trip, freeing up time to connect with nature and the history of this magical place. We are taking a lunch break on this hot summer day on the banks of the Teslin River. 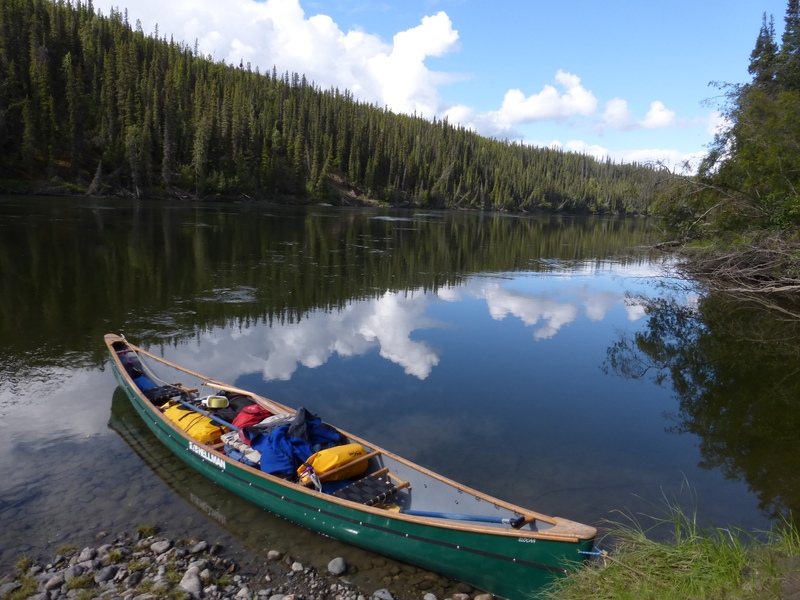 The Teslin River canoeing trip is a scenic tour that follows the historic route of the Klondike gold seekers. It is an easy paddle, suited for novice paddlers, yet it offers great scenery and excellent wildlife viewing opportunities. We will also explore the many witnesses of times long past: Indian graves, abandoned villages, stranded paddle wheelers and more. This year we offer a fly-out option. This dream-come-true trip will end with a pick up by float plane directly on the river. On the flight back you will catch a birds eye view of the river you just paddled and land on Yukon’s float plane base in Whitehorse. There is no better way to end an unforgettable trip! On our last year’s canoeing trip we were spoiled with great weather. In the morning we started the day with the first cup of coffee and breakfast under blue skies. Soon it was time to pack up camp and hit the water. Every day we paddled for four to five hours, we practiced our strokes, enjoyed just drifting and had great wildlife watching. 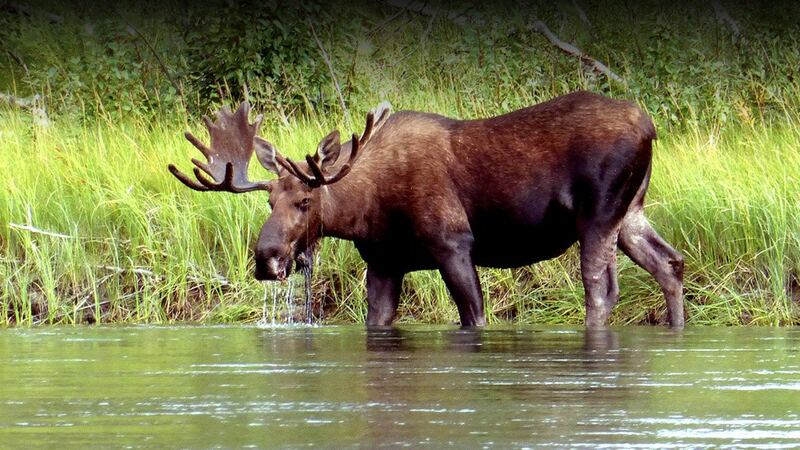 On several occasions we were lucky to watch a moose along the shore as well as the omnipresent bald eagles. In mid-afternoon we arrived at our camp spot and the rest of the day was spent setting up camp, exploring the surroundings, reading a book, collecting firewood, preparing dinner or going for a swim. Life is simple and relaxed. I always enjoy this time off the grid were I leave cell phone and computer behind! Paddling and drifting on the Teslin River on this sunny day in July. Kluane National Park is a UNESCO World Heritage Site. Come spend some days here, and you’ll see why. Kluane National Park is bordering the biggest non polar icefields and the scenery is truly stunning. On our guided day hikes we can choose to hike on well established trails or to venture off the beaten track, just as we like. I know the area well and I will happily share my secret spots where we have great wildlife viewing opportunities, find breathtaking vistas and hardy alpine flowers. These day hikes are customized to the objective of the group and are based just outside of Haines Junction with accommodation in a peaceful and quiet setting. Join our small hiking group on our early summer trip or in the first week of September. The trail on Sheep Mountain leads in the alpine. To step into this “Patagonia of the North” is to step back into the land before time. Where black granite pinnacles jut thousands of feet into the sky, where hidden green valleys carpeted in flowers reveal crystalline lakes, and where the only forces at work are wind, sun, water and ice. 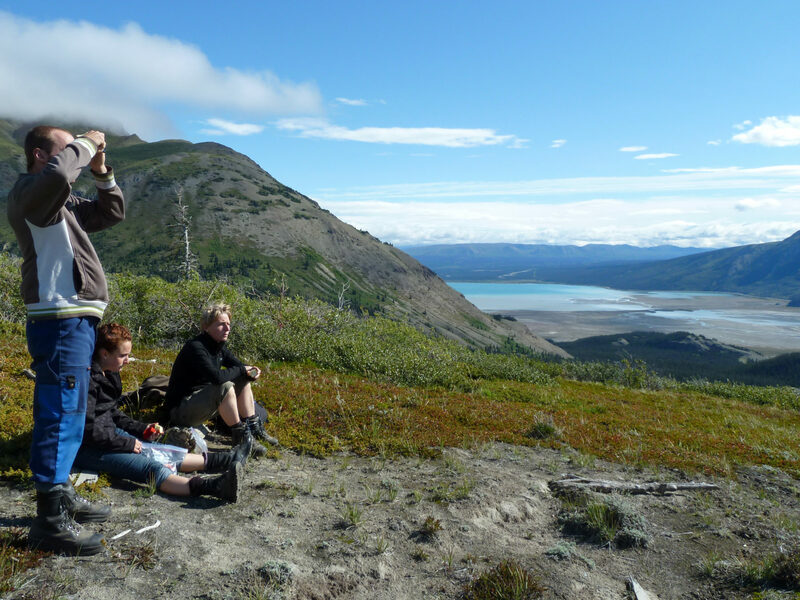 Our guided hiking trip in to Tombstone Territorial Park is based out of the Campground on the Dempster Highway. Every day we explore the mountains on a wide variety of trails. It will be end of August and you will be marveling at mothers most beautiful fall colours. With some luck we also will see northern lights dancing in the sky! 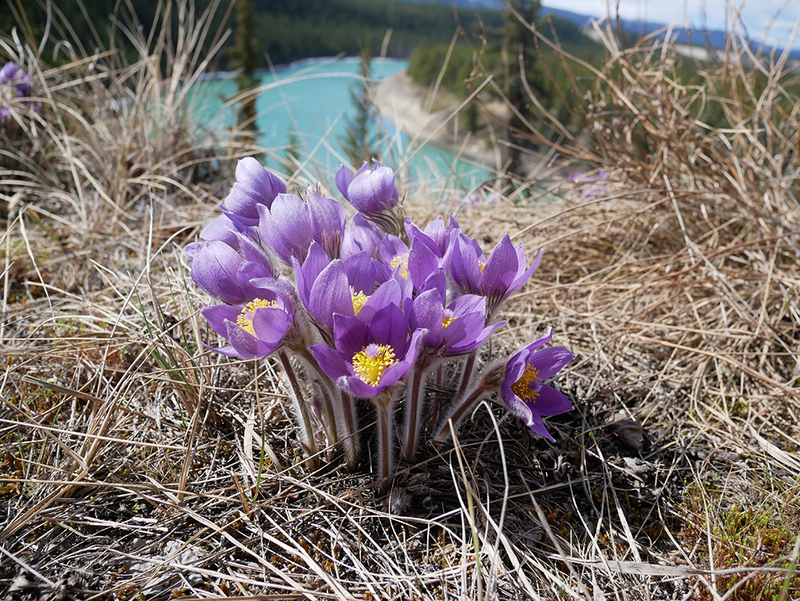 This tip ends with a visit in Dawson where we will step back in time and enjoy the special flavour of this charming town of the gold seekers time period. Special: We also offer a special birdwatching trip on the Dempster Highway in early June. 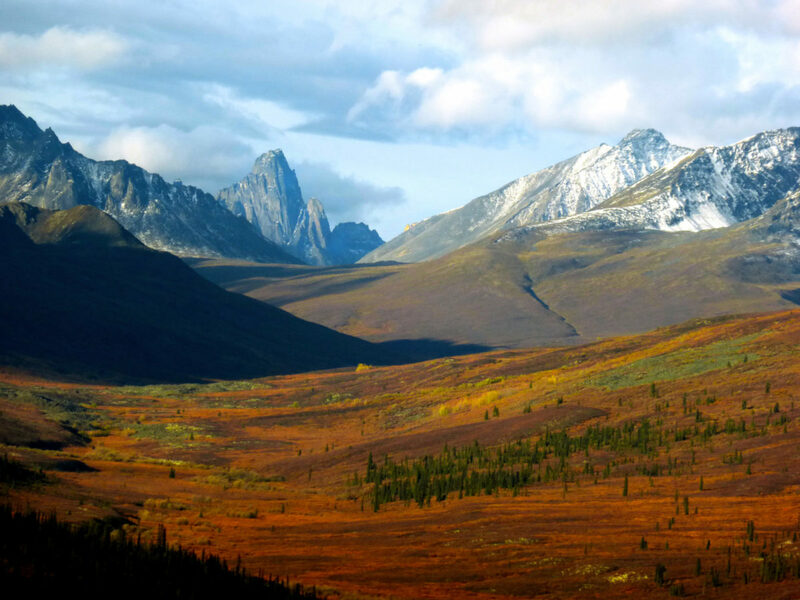 The vistas and fall colours never disappoint in Tombstone Territorial Park. These are just a few highlights. The Yukon is a destination for adventures on any scale. Explore more! Book your own Yukon adventure with us!